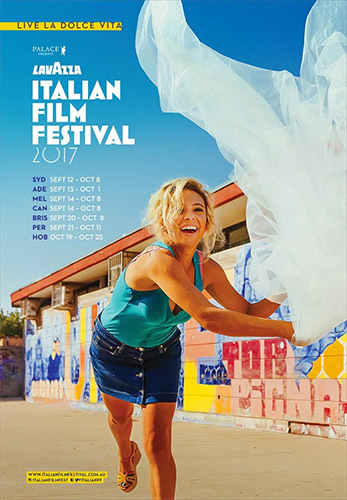 The Italian Film Festival was founded in 2000, and has since then grown and grown in popularity, to the point where it is now the biggest public celebration of Italian cinema outside Italy. This year is set to be the best yet, with the 18th Lavazza Italian Film Festival showcasing some brilliant cinematic offerings from Italy. For a full list of the films on offer, visit www.italianfilmfestival.com.au. The 'Lavazza Italian Film Festival' competition has now closed. Winners will be announced shortly. Competition opens at 5pm AEST on Sunday 3rd September 2017 and closes at 11:59pm AEST on Sunday 10th September 2017. Five winners will be chosen at random on Monday 11th September 2017. To successfully win, entrants must fulfil the above entry conditions before the time the competition closes. Current members/followers are eligible to enter the competition. Only one entry per person. Only one winner per household. To be a valid winner, the entrant must not have won a prize from SWITCH within the last 28 days. Each winner will receive one double pass to the Lavazza Italian Film Festival. By entering, you agree to receive occasional emails from SWITCH in the future. If you decide to unsubscribe from these updates, any further entries will not be applicable. Only Australian residents are eligible to enter.